Some fun stuff is about to take place next week, starting this weekend. Let’s talk about it, shall we? First of all, there’s a weekend sci-fi and fantasy promotion going on, and all the books participating are sold for 99c. Moth to a Flame is there, so if you don’t have a copy yet, this is a good time to nab it. Also check out Fire Mages by Pauline M. Ross, Twice Born by Marina Finlayson, the Vanguard complete first season by Percival Constantine, and many more amazing books. It’s really a great opportunity to stock up, so hop over to http://pattyjansen.com/promo/99c-books/ and check it out! 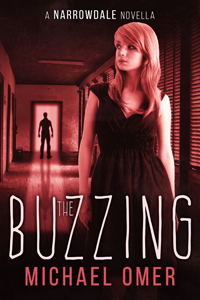 And on Sunday, the 20th, “The Buzzing”, a Narrowdale Novella is released. I wanted to write about someone else in Narrowdale, so I chose my favorite character to focus on. That would be Roxanne, by the way. You might remember her as the girl who constantly criticizes Amy about the way she dresses. Also, it wouldn’t be a Narrowdale book without Edgar showing up, and some other familiar characters pop in to say hi. All in all it’s a short intense read. People who already read it had some choice things to say. For example “Jesus Michael!”, is one of my favorites.